It's well worth a wander simply to take in the sights and smells of real Indian Spices . 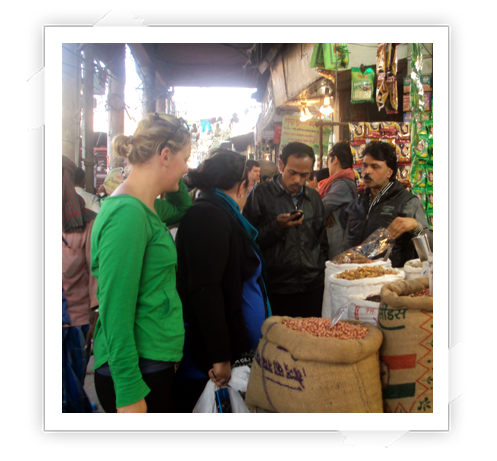 Khari Baoli- is a street in DELHI, India known for its wholesale grocery and Asia's largest wholesale spice market selling all kinds of spices, nuts, herbs and food products like rice and tea. Sniff your way around different stalls as you learn how the chilies and spices commonly used in Indian cuisine were originally brought to the country by invaders. In addition to bowls heaped with colorful spices, you’ll find different types of dried fruits for sale. 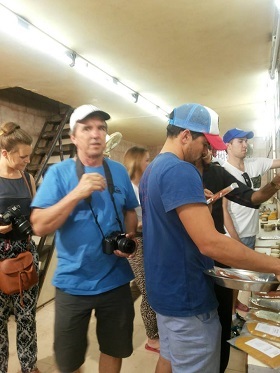 You Can see the Real Spices and its aroma by visiting the Spice Market with Us. One can actually buy small quantities of spices. Your guide will tell you about the spices, the flavours they impart and how they can be combined with other spices to impart a totally different flavour.You will Get henna on your one hand. As we said A tour to Delhi will be incomplete without visiting this unique and colourful market. After a tour of this amazing market you will be taken back to your hotel Central Point (C.P., Rajeev Chowk, Mandi House Metro Station )where your tour ends.